‘Worldwide Choppers’: Busta’s Best Verse Ever? 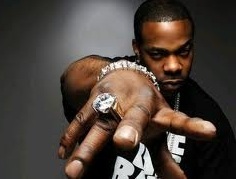 While the entire hip hop community is still reeling from the monster collaboration “Worldwide Choppers“, XXLmag.com is highlighting Busta Rhymes’ showstopping verse. Looking back at some of Busta’s hottest verses, XXL pits his feature on “Worldwide Choppers” against his long career of hits. Included on the list are: “Look At Me Now”, “Gimme Some More”, and “Woo Hah!”. Fans were asked to vote on their pick, and it looks like Busta’s verse on “Worldwide Choppers” is crushing the competition with 35% of the vote! Seems like everyone agrees, Busta Rhymes conquered “Worldwide Choppers”. Click here to run down Busta’s best verses and be sure to vote for your favorite! Click here to pre-order Tech N9ne’s All 6’s And 7’s featuring “Worldwide Choppers”, produced by Michael “Seven” Summers.